This board contains jobs for coaches, instructors, motion capture performers, fighters, equipment designers, sports reporters, content writers and other professions related to the martial arts domain. Posting job is free. Join our team running martial arts classes in the Milton Keynes area. Extensive martial arts experience is helpful but not essential. As the right candidate will be given full training on all aspects of martial arts and running the classes the Inspired way. Starting as a part time role, we see the ideal candidate developing with the business to become full time with rewards as their involvement in the business grows. You will be working with other instructors in the team and teaching children ages 3 to 16 martial arts and our 5 core values. You must be 18 years old and have a driving licence. We are the Warrior Academy, a martial arts organisation in the South West Voted TOP 5 in the UK. We have over 45 clubs in and around Wiltshire and have a small team of 4 dedicated instructors and between us we teach over 1000 students in the UK every year. We are looking for the next instructor to join our team! ✅Starting salary 18k rising to 30k in 5 years. ✅ Exciting opportunity to teach in Dubai. ✅ Be part of a team voted TOP 5 in the UK. ✅ Further, advance your own skills. Be part of an exciting, energetic team of passionate martial artists teaching children aged 4 to 18. As our clubs are based around Wiltshire, you will be provided with a van and teach up to 20 classes per week. You will help us manage our events and competitions (which now see over 300 members attend!). As we have just expanded into Dubai and launched 10 new clubs there's an exciting opportunity to fly to Dubai and teach with our Dubai team. 1) Send in your application with a cover letter. 2) Formal interview with our Area Manager. 1) Strong background in martial arts, a background in Taekwondo is most beneficial as we teach freestyle Taekwondo, however, all styles considered as training is provided and different positions are available. 2) Clean criminal record with no warnings, cautions or reprimands. A full enhanced Criminal background check is carried out. 4) A visible passion for teaching young people strong values. We look forward to welcoming you to our team. Google "The Warrior Academy" to check us out and see what we are all about : ). 1) Why do you feel you would be perfect for the role? 2) Do you have a clean driving license? 3) Do you have a clean criminal record (no warnings)? 4) What is your background in martial arts? 5) What experience do you have with teaching young people? 6) Do you have your own transportation (required)? Fitness and Martial Arts PTE. LTD.
Plan, develop and address the needs and fitness objectives of all students. Create safe and holistic programs that teach all aspects of Brazilian Jiu-Jitsu, including its' philosophies. Must possess strong interpersonal skills, organizational skills, problem-solving skills, decision-making skills, negotiation skills and management skills. The ability to pay attention to detail and accuracy at all times. The ability to motivate and inspire students to achieve their fitness and martial arts goals. Able to develop individual training programs. Able to develop and practice own skills. Assume responsibility for the health and safety of students and teach safe training habits. Must possess a proactive and positive attitude. Expert knowledge and ability in Brazilian Jiu-Jitsu. Candidate must be a World Champion and achieve world recognition in Brazilian Jiu-Jitsu, from a recognized and official organization. Strong verbal and visual communication skills. Candidates who enjoy working in a fast-paced, exciting and dynamic environment are invited to apply with a detailed resume (stating current salary). Get in on the ground floor of Tapout Fitness. We are excited to offer the Martial Arts Trainer opening at Tapout Fitness to the right candidate. We are looking for someone who can lead by example and represent excellence as a fitness professional. The brand has been rooted in Martial Arts and we have evolved the business into martial arts, group fitness and general fitness training, while staying committed to its brand essence of discipline, determination and motivation. Tapout Fitness is dedicated to inspiring the athlete in every individual and to support each team member. The Martial Arts Coach will teach a special discipline called Tapout Martial Arts that was created by Greg Jackson specifically for Tapout Fitness locations. It incorporates five disciplines into one: Kickboxing, Boxing, Jiu-Jitsu, Wrestling, and Karate. We have two children's programs, Little Tigers ages 5-7 and Little Dragons Ages 8-12. The Tapout Martial Arts for Adults program will be ages 13 . The Martial Arts Coach will also need to have a working knowledge and understanding of all Tapout Fitness training equipment and safety guidelines. Personal Training opportunities. Paid at 40% of the PT session cost. Duties/Responsibilities: Will plan, organize and instruct Martial Art classes; will coordinate registration of participants; and will insure the safety of all participants at all times. Qualifications: Must be at least 18 years of age and must have at least 2 years of experience teaching martial arts. Hours: Must be available Mondays & Tuesdays after 6:30 pm; Saturdays & Sundays 11 am to 1 pm. Wage: $13.00 per hour; Part-Time/Non-Exempt position. Martial Arts instructor provides targeted, skills instruction, coaching youth and training staff in New York Edge after-school programs. Martial Arts instructors organize and provide physical activity professional development to ensure the safe effective delivery of all program activities. Must provide instructional support at sport-specific professional development trainings and stress appropriate coaching techniques. Ensure projects are structured, age-appropriate, and have clear learning goals based on the provided sports curricula. Deliver and assist with all clinic and organization wide sports programs. Maintain communication with After-School Program Director and enter for Sports Instruction Program Managers regarding the centralized calendar of Center for Sports Instruction programs, leagues, tournaments and special events. Explain principles, techniques, and safety procedures to sports specialists, and demonstrate proper use of materials and equipment. Enforce safety rules and regulations governing sports, recreational activities, and the use of equipment. Ascertain and interpret skills and adapt activities to meet student needs. Prepare facilities for events, tournaments and leagues. Evaluate sports specialists to determine if they are producing desired results. Promotes positive character development in all sports programs. Must be highly knowledgeable and skilled in Martial Arts and have prior 2 years of experience successfully teaching youth and organizing events. Must be able to train sports specialists on the curriculum as it applies to Martial Arts. Provides entertaining and educational Martial Arts programs for our members. Teaches new skills to members to help them develop martial arts techniques while focusing on life skills such as respect, confidence, and discipline. Instructs safe, exciting and comprehensive Martial Arts training programs. Helps members develop, maintain, and exceed their personal health and fitness goals. Teach martial arts for KidSport Program to children ages 7-13. Legacy Martial Arts is growing again and we are now hiring awesome martial arts instructors who are passionate about teaching children how to become the BEST! If you have experience in the following martial arts styles, please keep reading below, because this job will be perfect for you: Karate, Tae Kwon Do, Kick Boxing, Muay Thai, BJJ, Kuk Sool Won, Tang Soo Do, MMA, or any similar style! Our martial arts school offers fun and exciting classes to children! All new instructors will have the opportunity to get paid to train and learn our system! $15+ per hour based on experience! Contact us today by applying to this position with your resume. Please be sure to list 3 personal references and 3 business references, as well as your teaching/martial arts experience. You will lead the entire public relations initiative for Asia’s #1 martial arts organization and Asia’s most decorated professional fight team. You will work with and learn PR strategies directly from a multi-millionaire entrepreneur and Harvard MBA. Are you characterized by above-average agility and physical fitness? 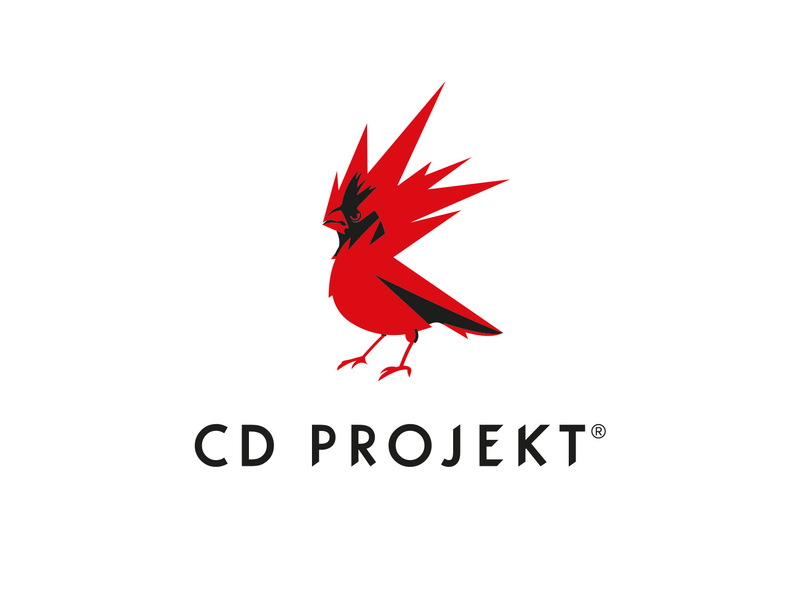 We are looking for talented individuals to cooperate on Cyberpunk 2077 as Motion Capture Performers. Highly developed body movements and motor skills as well as excellent body control/physical self-awareness. Friendly and approachable manner, developed communication skills. In case of Stunts - proven experience and courses certification. Acting skills, availability to act the role. Flexibility in working in front of directors, producers and casting directors. We’re looking for all body types. Candidates may apply for variable roles - please specify your preferences in the application form. In case of professionals - demo reel. In case of nonprofessionals - short video presenting your skills and body proportions. Responsible for adult group boxing and personal training instruction. Responsible for ensuring a positive customer experience. Works well with adults and children. Conducts safe and effective private and group training sessions. Maintains the training spaces at all times. Arrives on time, prepared and attentive for training appointments. Encourages teammates to work with each other, follow industry safety standards and strive to achieve goals. Represents and promotes Tapout Fitness in a professional manner. Maintains high level of professionalism with the ability to motivate others while upholding the company's vision, mission, values and code of conduct. Must be willing to have a flexible scheudle. Physical effort required for daily duties include lifting heavy weights, squatting, bending, reaching, squatting & prolonged standing and walking. Must be able to frequently lift and /or move up to 45 pounds. Responsible for adult and children's martial arts instruction. Conducts safe and effective private and group Tapout Martial Arts training sessions. A martial arts enthusiast that is responsible for handling and delivering the majority of content writing tasks for Evolve Mixed Martial Arts. Work closely with the marketing department on many different content marketing initiatives. The main topics and themes you will be writing about are martial arts, fitness, health, and wellness. You are expected to be versatile enough to write about any other topics outside of the aforementioned categories. Your works will be published on Evolve MMA’s social media platforms (i.e. Facebook, Evolve Daily Blog). Assist in proofreading and editing created copy and content for social media platforms. Please submit samples of writing/published writing along with your application. Exceptional command of the English language and perfect grammar. Intermediate to advanced knowledge of mixed martial arts (Muay Thai, or Brazilian Jiu-Jitsu, or both). Passionate about martial arts and fitness. The ability to handle several projects and deliver excellent work under tight deadlines. Some experience as a journalist/editor or equivalent would be advantageous. In 7 years, the group has grown to become Australia's largest supplier of mixed martial arts products. As a group we believe in big ideas and have a genuine belief in ourselves that we have the ability to implement them. Our retail stores and online store strive to exemplify the latest in cutting edge products and trends. Our ambition is to provide MMA enthusiasts with an atmosphere of extensive product choice and access to inside product knowledge by people who participate in the sport. The group is made up of a very diverse and talented team of people who are passionate, innovative and experts in their fields. We are committed to providing the most effective business model from design, marketing, ecommerce, supply chain, visual merchandising, retail operations, store development and management. We're looking for a passionate person with a strong interest in combat sports. Learn all aspects of running a retail store, true retail management experience. The ability to prioritise tasks and multi task. A passion for Mixed Martial Arts is highly regarded! The opportunity to take your career into Retail Management, business ownership or a professional support role. Work with the latest and best combat sports equipment and apparel. The chance to be part of a new and fast growing business. We are searching for a black belt Brazilian Jiu Jitsu instructor to teach at our martial arts schools. We currently have four locations in Manhattan and one location in Queens NY. Job includes teaching kid and adult bjj classes plus assist in our kickboxing classes. We are looking for someone to join our team of instructors, that is open to learning our system and teaching methods. Benefits include paid vacation, paid holidays, medical, 401(k). Please provided detailed resume or cover letter. Note: We are not looking for competition accomplishments, we are looking for great teachers, with a proven teaching background.